Last week I posted an item summarizing Matthew O’Brien’s article about the just-released transcripts of FOMC meetings in June, August and September of 2008. I spiced up my summary by quoting from and commenting on some of the more outrageous quotes that O’Brien culled from the transcripts, quotes showing that most of the FOMC, including Ben Bernanke, were obsessing about inflation while unemployment was rising rapidly and the economy contracting sharply. I especially singled out what I called the Gang of Four — Charles Plosser, Jeffrey Lacker, Richard Fisher, and Thomas Hoenig, the most militant inflation hawks on the FOMC — noting that despite their comprehensive misjudgments of the 2008 economic situation and spectacularly wrongheaded policy recommendations, which they have yet to acknowledge, much less apologize for, three of them (Plosser, Lacker, and Fisher) continue to serve in their Fed positions, displaying the same irrational inflation-phobia by which they were possessed in 2008. Paul Krugman also noticed O’Brien’s piece and remarked on the disturbing fact that three of the Gang of Four remain in their policy-making positions at the Fed, doing their best to keep the Fed from taking any steps that could increase output and employment. However, Krugman went on to question the idea — suggested by, among others, me — that it was the Fed’s inflation phobia that produced the crash of 2008. Krugman has two arguments for why the Fed’s inflation phobia in 2008, however silly, did not the cause of the crash. Sorry, but, WADR, I have to disagree with Professor Krugman. The first argument is not in my view very compelling, because the Fed’s inflation-phobia did not suddenly appear at the September 2008 FOMC meeting, or even at the June meeting, though, to be sure, its pathological nature at those meetings does have a certain breathtaking quality; it had already been operating for a long time before that. If you look at the St. Louis Fed’s statistics on the monetary base, you will find that the previous recession in 2001 had been preceded in 2000 by a drop of 3.6% in the monetary base. To promote recovery, the Fed increased the monetary base in 2001 (partly accommodating the increased demand for money characteristic of recessions) by 8.5%. The monetary base subsequently grew by 7% in 2002, 5.2% in 2003, 4.4% in 2004, 3.2% in 2005, 2.6% in 2006, and a mere 1.2% in 2007. The housing bubble burst in 2006, but the Fed was evidently determined to squeeze inflation out of the system, as if trying to atone for its sins in allowing the housing bubble in the first place. From January to September 10, 2008, the monetary base increased by 3.3%. Again, because the demand for money typically increases in recessions, one cannot infer from the slight increase in the rate of growth of the monetary base in 2008 over 2006 and 2007 that the Fed was easing its policy stance. (On this issue, see my concluding paragraph.) The point is that for at least three years before the crash, the Fed, in its anti-inflationary zelotry, had been gradually tightening the monetary-policy screws. So it is simply incorrect to suggest that there was no link between the policy stance of the Fed and the state of the economy. If the Fed had moderated its stance in 2008 in response to ample evidence that the economy was slowing, there is good reason to think that the economy would not have contracted as rapidly as it did, starting, even before the Lehman collapse, in the third quarter of 2008, when, we now know, the economy had already begun one of the sharpest contractions of the entire post World War II era. As for Krugman’s second argument, I believe it is a mistake to confuse a financial panic with a recession. A financial panic is an acute breakdown of the financial system, always associated with a period of monetary stringency when demands for liquidity cannot be satisfied owing to a contagious loss of confidence in the solvency of borrowers and lenders. The crisis is typically precipitated by a too aggressive tightening of monetary conditions by the monetary authority seeking to rein in inflationary pressures. The loss of confidence is thus not a feature of every business-cycle downturn, and its restoration no guarantee of a recovery. (See my post on Hawtrey and financial crises.) A recovery requires an increase aggregate demand, which is the responsibility of those in charge of monetary policy and fiscal policy. I confess to a measure of surprise that the author of End This Depression Now would require a reminder about that from me. A final point. Although the macroeconomic conditions for an asset crash and financial panic had been gradually and systematically created by the Fed ever since 2006, the egregious Fed policy in the summer of 2008 was undoubtedly a major contributing cause in its own right. 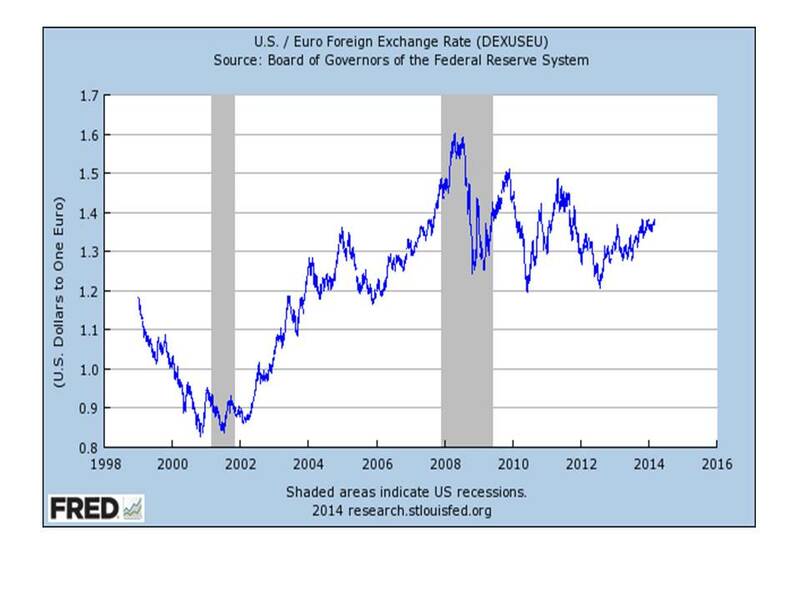 The magnitude of the policy error is evident in this graph from the St. Louis Fed, showing the dollar/euro exchange rate. 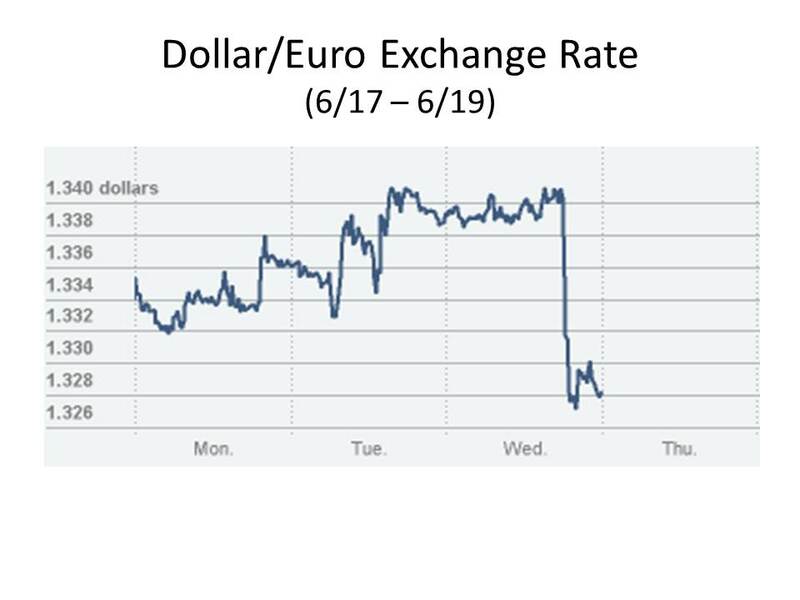 From April to July, the exchange rate was fluctuating between $1.50 and $1.60 per euro. In mid-July, the dollar began appreciating rapidly against the euro, rising in value to about $1.40/euro just before the Lehman collapse, an appreciation of about 12.5% in less than two months. The only comparable period of appreciation in the dollar/euro exchange rate was in the 1999-2000 period during the monetary tightening prior to the 2001 recession. But the 2008 appreciation was clearly greater and steeper than the appreciation in 1999-2000. Under the circumstances, such a sharp appreciation in the dollar should have alerted the FOMC that there was a liquidity shortage (also evidenced in a sharp increase in borrowings from the Fed) that required extraordinary countermeasures by the Fed. But the transcript of the September 2008 meeting shows that the appreciation of the dollar was interpreted by members of the FOMC as evidence that the current policy was working as intended! Now how scary is that? Ben Bernanke held a press conference today at the conclusion of the FOMC meeting held yesterday and today. The stock market had risen by almost 2 percent on Monday and Tuesday, apparently in hopes that Bernanke would have something encouraging to say about Fed policy. They were obviously disappointed. The accompanying chart shows how the S&P 500 has fluctuated since last Thursday, the sharp drop today coincided with Bernanke’s press conference. What was so disturbing to the markets? Well, Bernanke’s press conference triggered some sharp movements in the bond markets. The yield on the 10-year Treasury jumped by 13 basis points to 2.33%. I don’t have a chart of the intra-day fluctuation, but I am pretty sure almost all of the movement occurred after the press conference started. Meanwhile the yield on the 10-year TIPS jumped 15 basis points, from 0.14% to 0.29%, implying a 2-basis-point drop in the breakeven TIPS spread, to 2.04%. A two-basis-point change in inflation expectations is not very remarkable. So it seems that what drove the increase in yield was the increase in the real rate. But one has to be careful in identifying the TIPS spread with the real rate of interest, especially when one sees sudden changes in the market, changes that could reflect factors other than the real rate of interest, such as illiquidity in the TIPS market or increasing uncertainty about future inflation, even though expected inflation is not changing much. Let’s look at two other markets that moved sharply after Bernanke started talking this afternoon. The chart below shows the movement of dollar/euro exchange rate since Monday. The dollar weakened slightly on Monday and Tuesday and Wednesday morning, but as soon as Bernanke got started the dollar shot up against the euro. That should not necessarily be construed as a vote of confidence in Bernanke, even though it apparently pleased Bernanke et al. to think that the sharp run-up in the value of the dollar in August 2008 was a sign of confidence that Fed policy to keep inflation expectations anchored was working. It is hard to interpret today’s sharp increase in the value of the dollar as anything but an expectation of future tightening of monetary policy by the Fed. But then why did inflation expectations fall by only 2 basis points? Another market that is supposed to be sensitive to inflation expectations is gold, though in my view the demand for gold is too irrational to provide any usable information about expectations. But I will suspend my disbelief in the rationality of gold traders for the time being to note that the price of gold has just fallen to a new low for the year, dropping below $1340 an ounce or almost 3% since yesterday. A fall in the value of gold is consistent with an increase in real interest rates or with a decline in inflation expectations, so take your pick. At any rate, I don’t think that we have a clear understanding of what is driving markets at this point. Markets still seem to be in confusion. Today’s movements in the markets were sudden and sharp, but they were also fairly modest. A one or two percent movement in markets is hardly a major event. Nevertheless, by displaying an unseemly haste to withdraw the very modest monetary stimulus that the Fed has begrudgingly provided, Bernanke may have given the markets a bit of scare, reminding them how indifferent central bankers have been to the ongoing disaster of the Little Depression. The markets did not panic, but we may be flying into turbulence. Keep your seat belts fastened. What’s a Central Banker To Do? The FOMC is meeting tomorrow and Wednesday, and it seems as if everyone is weighing in with advice for Ben Bernanke and company. But you can always count on the Wall Street Journal editorial page to dish up something especially fatuous when the topic turns to monetary policy and the Fed. This time the Journal turns to George Melloan, a former editor and columnist at the Journal, to explain why the market has recently turned “skittish” in anticipation that the Fed may be about to taper off from its latest venture into monetary easing. Some of us have been arguing that recent Fed signals that it will taper off from quantitative easing have scared the markets, which are now anticipating rising real interest rates and declining inflation. Inflation expectations have been declining since March, but, until the latter part of May, that was probably a positive development, reflecting expectations of increased real output under the steady, if less than adequate, policy announced last fall. But the expectation that quantitative easing may soon be tapered off seems to have caused a further decline in inflation expectations and a further increase in real interest rates. We are in an age where the eight male and four female members of the FOMC are responsible for whether securities markets float or sink. Traders around the world who in better times considered a range of variables now focus on a single one, Federal Reserve policy. . . . In the bygone days of free markets, stocks tended to move counter to bonds as investors switched from one to the other to maximize yield. But in the new world of government rigging, they often head in the same direction. That’s not good for investors. Oh dear, where to begin? Who cares how many males and females are on the FOMC? Was the all-male Federal Reserve Board that determined monetary during the Great Depression more to Mr. Melloan’s liking? I discovered about three years ago that since early in 2008 there has been a clear correlation between inflation expectations and stock prices. (See my paper “The Fisher Effect Under Deflationary Expectations.“) That correlation was not created, as Melloan and his colleagues at the Journal seem to think, by the Fed’s various half-hearted attempts at quantitative-easing; it is caused by a dangerous conjuncture between low real rates of interest and low or negative rates of expected inflation. Real rates of interest are largely, but not exclusively, determined by entrepreneurial expectations of future economic conditions, and inflation expectations are largely, but not exclusively, determined by the Fed policy. So the cure for a recession will generally require inflation expectations to increase relative to real interest rates. Either real rates must fall or inflation expectations (again largely under the control of the Fed) must rise. Thus, an increase in inflation expectations, when real interest rates are too high, can cause stock prices to rise without causing bond prices to fall. It is certainly true that it is not good for investors when the economy happens to be in a situation such that an increase in expected inflation raises stock prices. But that’s no reason not to reduce real interest rates. Using monetary policy to raise real interest rates, as Mr. Melloan would like the Fed to do, in a recession is a prescription for perpetuating joblessness. Melloan accuses the Fed of abandoning free markets and rigging interest rates. But he can’t have it both ways. The Fed did not suddenly lose the power to rig markets last month when interest rates on long-term bonds rose sharply. Bernanke only hinted at the possibility of a tapering off from quantitative easing. The Fed’s control over the market is supported by nothing but the expectations of millions of market participants. If the expectations of traders are inconsistent with the Fed’s policy, the Fed has no power to prevent market prices from adjusting to the expectations of traders. Melloan closes with the further accusation that Bernanke et al. hold “the grandiose belief . . . that the Fed is capable of superhuman feats, like running the global economy.” That’s nonsense. The Fed is not running the global economy. In its own muddled fashion, the Fed is trying to create market expectations about the future value of the dollar that will support an economic expansion. Unfortunately, the Fed seems not to have figured out that a rapid recovery is highly unlikely to occur unless something is done to sharply raise the near term expected rate of inflation relative to the real rate of interest. How Did Bernanke Scare the Markets? On Wednesday Ben Bernanke appeared before the Joint Economic Committee of the US Congress to give his semi-annual report to Congress on the Economic Outlook. 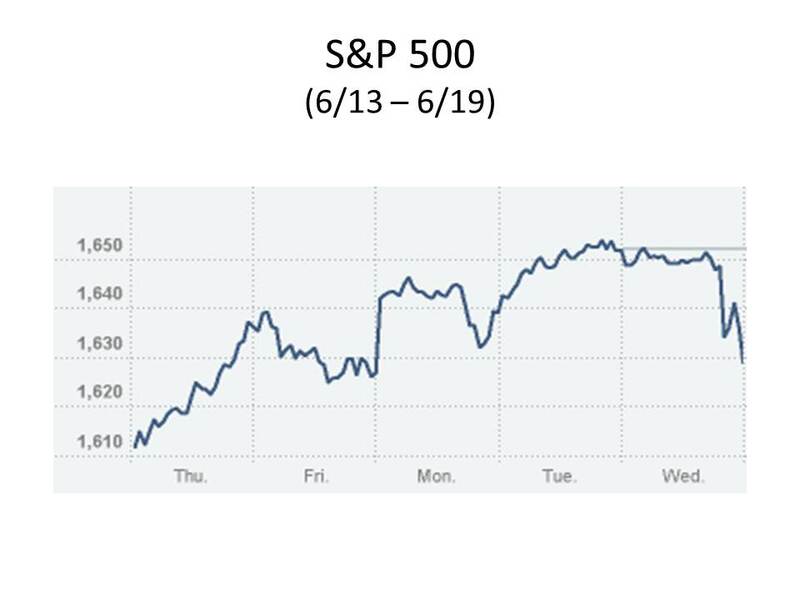 The S&P 500 opened the day about 1% higher than at Tuesday’s close, but by early afternoon had already given back all their gains, before closing 1% lower than the day before, an interday swing of 2%, pretty clearly caused by Bernanke’s testimony. The Nikkei average fell by 7%. Bernanke announced no major change in monetary policy, but he did hint that the FOMC was considering scaling back its asset purchases “in light of incoming information.” So what was it that Bernanke said that was so scary? Despite this improvement, the job market remains weak overall: The unemployment rate is still well above its longer-run normal level, rates of long-term unemployment are historically high, and the labor force participation rate has continued to move down. Moreover, nearly 8 million people are working part time even though they would prefer full-time work. High rates of unemployment and underemployment are extraordinarily costly: Not only do they impose hardships on the affected individuals and their families, they also damage the productive potential of the economy as a whole by eroding workers’ skills and–particularly relevant during this commencement season–by preventing many young people from gaining workplace skills and experience in the first place. The loss of output and earnings associated with high unemployment also reduces government revenues and increases spending on income-support programs, thereby leading to larger budget deficits and higher levels of public debt than would otherwise occur. Consumer price inflation has been low. The price index for personal consumption expenditures rose only 1 percent over the 12 months ending in March, down from about 2-1/4 percent during the previous 12 months. This slow rate of inflation partly reflects recent declines in consumer energy prices, but price inflation for other consumer goods and services has also been subdued. Nevertheless, measures of longer-term inflation expectations have remained stable and continue to run in the narrow ranges seen over the past several years. Over the next few years, inflation appears likely to run at or below the 2 percent rate that the Federal Open Market Committee (FOMC) judges to be most consistent with the Federal Reserve’s statutory mandate to foster maximum employment and stable prices. In other words, the job market, despite minimal improvements, is a disaster, and inflation is below target, and inflation expectations “continue to in the narrow ranges seen over the past several years.” What does that mean? It means that since the financial crisis of 2008, inflation expectations have consistently remained at their lowest levels in a half century. Why is any increase in inflation expectations above today’s abnormally low levels unacceptable? Bernanke then says that inflation appears likely to run at or below the 2% rate that FOMC believes is most consistent with the Fed’s mandate to foster maximum employment and stable prices. Actually it appears likely that inflation is likely to run below the 2% rate, perhaps by 50 to 100 basis points. For Bernanke to disguise the likelihood that inflation will persistently fail to reach the Fed’s own nominal 2% target, by artfully saying that inflation is likely to run “at or below” the 2% target, is a deliberate deception. Thus, although he is unwilling to say so explicitly, Bernanke makes it clear that he and the FOMC are expecting, whether happily or not is irrelevant, inflation to continue indefinitely at less than the 2% annual target, and will do nothing to increase it. You get the picture? The job market, five and a half years after the economy started its downturn, is in a shambles. Inflation is running well below the nominal 2% target, and is expected to remain there for as far as the eye can see. And what is the FOMC preoccupied with? Winding down its asset purchases “in light of incoming information.” The incoming information is clearly saying – no it’s shouting – that the asset purchases ought to be stepped up, not wound down. Does Bernanke believe that, under the current circumstances, an increased rate of inflation would not promote a faster recovery in the job market? If so, on the basis of what economic theory has he arrived at that belief? With inflation persistently below the Fed’s own target, he owes Congress and the American people an explanation of why he believes that faster inflation would not hasten the recovery in employment, and why he and the FOMC are not manifestly in violation of their mandate to promote maximum employment consistent with price stability. But he is obviously unwilling or unable to provide one. Why did Bernanke scare the markets? Well, maybe, just maybe, it was because his testimony was so obviously incoherent. The FOMC issued an opaque statement yesterday observing that the economy is continuing to expand at “a moderate pace,” though unemployment remains too high while inflation is falling. The statement attributes the weakness of the recovery, at least in part, to fiscal tightening, perhaps suggesting that the Fed would not, under these circumstances, tighten monetary policy if fiscal policy were eased. Information received since the Federal Open Market Committee met in March suggests that economic activity has been expanding at a moderate pace. Labor market conditions have shown some improvement in recent months, on balance, but the unemployment rate remains elevated. Household spending and business fixed investment advanced, and the housing sector has strengthened further, but fiscal policy is restraining economic growth. Inflation has been running somewhat below the Committee’s longer-run objective, apart from temporary variations that largely reflect fluctuations in energy prices. Longer-term inflation expectations have remained stable. Notice despite the neutral, matter-of-fact tone of the statement, there are two factually inaccurate, or at least misleading, assertions about inflation. First, while the assertion “inflation has been running somewhat below the Committee’s longer-run objective,” is not objectively false, the assertion ignores the steady downward trend in inflation for the past year, while sewing confusion with a gratuitous diversionary reference to “temporary variations that largely reflect fluctuations in energy prices.” By almost any measure, inflation is now running closer to 1% than to the Fed’s own 2% target. Second, the statement asserts that longer-term inflation expectations have remained stable. Oh really? If we take the 10-year TIPS spread as a proxy for long-term inflation expectations, inflation expectations have been falling steadily since the mid-January to mid-March time frame, when the breakeven rate fluctuated in a narrow range between 2.5% and 2.6%, to a spread of 2.3% yesterday, the lowest since early September of last year. Consistent with its statutory mandate, the Committee seeks to foster maximum employment and price stability. The Committee expects that, with appropriate policy accommodation, economic growth will proceed at a moderate pace and the unemployment rate will gradually decline toward levels the Committee judges consistent with its dual mandate. The Committee continues to see downside risks to the economic outlook. The Committee also anticipates that inflation over the medium term likely will run at or below its 2% objective. Well, here is my question. If the FOMC “seeks to foster maximum employment and price stability,” and the FOMC itself anticipates that inflation over the medium term will likely be less than 2%, why, under the FOMC’s own definition of price stability as 2% inflation, is the FOMC proposing to do nothing — not a single wretched thing — to hit its own inflation target? Under both elements of its dual mandate, the FOMC is unambiguously obligated to increase the rate of monetary accommodation now being provided. The FOMC asserts that unemployment is elevated; it also asserts, notwithstanding a pathetic attempt to disguise that obvious fact, that inflation is below its target. Both conditions require increased monetary expansion. There is now no trade-off between inflation and unemployment, and no conflict between the Fed’s two mandates. So why can’t the Fed do what it is plainly obligated to do by current legislation? Pointing a finger at the President and Congress cannot absolve the Fed of its own legal obligation not to tolerate an inflation rate below that consistent with price stability when unemployment is elevated. Is there no one capable of extracting from the Chairman of the Federal Reserve Board an explanation of this dereliction of duty? Interestingly enough, I happened to catch a piece (“Should we bring inflation back from the dead?”) on American Public Radio’s “Marketplace” last evening. After asking David Blanchflower of Dartmouth College and Kevin Jacques of Baldwin Wallace University about the potential benefits of moderate inflation in the current environment, reporter David Gura turned to Marvin Goodfriend, formerly of the Richmond Fed, and now at Carnegie-Mellon, for a contrary view. Here is how Goodfriend explained why more inflation would not be a good thing. Of course, resurrecting inflation is not risk-free. Economist Marvin Goodfriend says this kind of thinking could lead the economy to overheat: “If a little inflation is good, maybe a little more inflation is better.” It is something that is hard to control. Goodfriend tells his students at Carnegie Mellon University to remember something. You can vanquish it with “determined policy,” Goodfriend explains. Inflation will creep back into its coffin. And then, when you least expect it, it can come back with a vengeance. Whew! Talk about sophisticated economic analysis. But then again, Goodfriend’s students at Carnegie-Mellon are super bright, aren’t they? Could this be what Bernanke and his colleagues are thinking? The vampire theory of inflation? Say it ain’t so, Ben.